›› Our range of lock accessories are designed to work with either our fixed core or core removable systems. We offer a full range of strike plates and locking levers to complete the lock range we stock, mostly manufactured by the World renowned lock company BMB Germany. 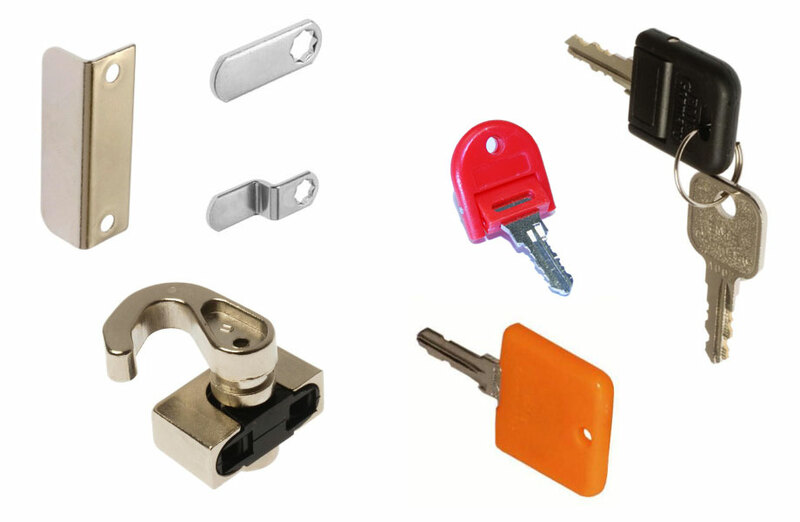 ›› We also stock a full range of keys and core numbers, with optional master keys and grand master keys, as well as core removal keys and keys with either plastic or metal finish.